I was shopping with a girlfriend the other day (an exceedingly rare occurrence for me) and when she looked at the clothes I had selected to try one she said ” You definitely have a particular style dont you, I would have picked all of those things for you”. Sometimes I think it would be nice to have my bead style so readily apparent. My modus operandi really does not lend itself to developing a specific style or signature bead. I like to try new techniques, skills and designs, but the reccomended ‘practice, practice, practice’ does not sit well with me. I tend to try something new once, then look at the result. If it worked well, I generally declare it a success and move on. If it didn’t turn out well, I tend to mentally put it in the ‘too hard basket’ for a few months, when I will try again. Luckily, sometimes my skills seem to develop by osmosis – I do a lot of my learning in the back of my mind, mulling things over. Generally when I come back to it, the technique will click and off I go. That’s how I learnt to make hollows. I’m sure if I had kept trying the first time, I would have got it eventually, but my method is a lot less stressful and wastes a lot less glass. So while I do have some favourites styles, namely Warring States dot beads, my work tends to be eclectic and touch on a wide variation of styles. I worry sometimes I should be developing a ‘signature’ style or design, that people will look for and keep coming back. But then I also wonder if it works just as well to produce work that satisfies a wide range of tastes and interests. 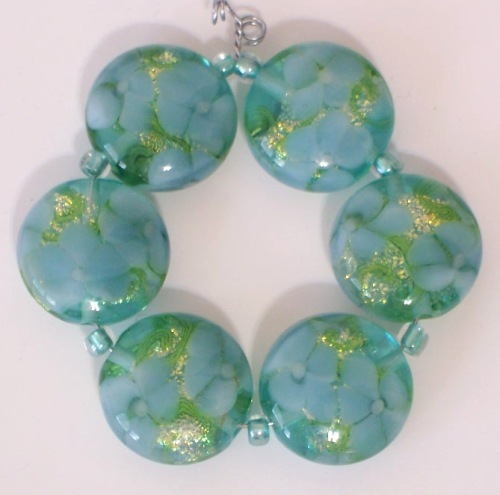 I may not have a signature bead – but I guess I do have a personal style… to dabble, to experiment, and try everything once. Most artists have a style, whether they realize it or not. In fact I would venture to say all artist have their own style. The question is how do each of us find our own style? Do we find our style, or does it pick us? For me I would have to say my style choose me. I make mostly what is comfortable for me. It is very much the same as to what I wear and how I decorate my house. Does this mean I don’t like to step out of my comfort zone? Probably. I like instant gratification. I like to make things and know they came out nice and pretty. It really is only when I get bored that I try new things. My new things are definitely influenced by the people around me. However, somehow I think my own personal style still shines through. 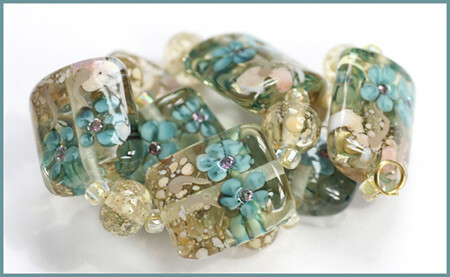 The staple of my line is surely my floral beads. These are heavily influenced by Kaye Husko, who taught me how to do them. However, it is clear when you look at each of ours, that they are different. Clearly that is our styles showing through. I can’t define it and I can’t explain it, but it is there. The placement, the colors, the designs, all similar, but when put together, they are distinctly different. It’s kind of fascinating really. 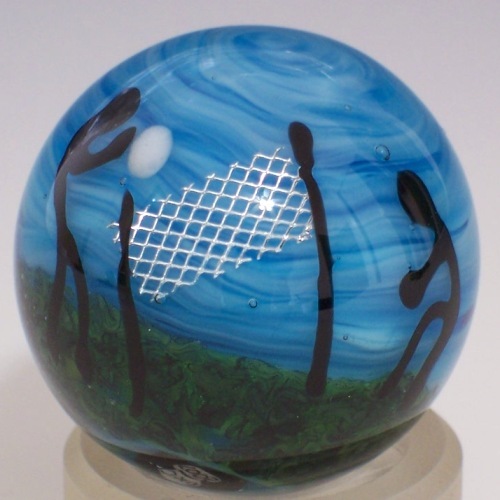 As for my recent explorations in marbles, those are heavily influenced by my husband Greg. Clearly, he is my teacher, and the one I look to for tips, ideas, and instruction. He is a whimsical artist at heart, and I can see some of that showing through in my pieces, but still there is that something different that shows through. Style. That piece that you just can’t put your finger on. At least I have trouble doing that. Then there are the pieces that just grab you and a new idea is born. 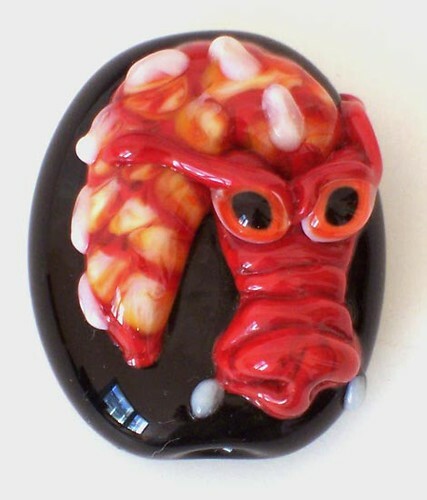 Like my dragon beads. A driven desire to make something similar to a picture on a book. I have a friend who calls it giving birth. Giving birth to a new idea, a new style, a new direction. It sure does feel like that too. Of course it isn’t really a new style is it? It is developing and using skills from our own styles that lead us to the new idea or piece. I’d have to say that style grows, just as skills and interests do. It is ever changing, if we are growing, which is so important as an artist. Important not just for business growth, but for growth as an artist. What is your style? I remember wondering what my artistic style was. How would I know when I had one and what would it be? When I was working on my Photography I spend a period of time pondering my style. I eventually decided I was drawn to a serene dreamy look and it must be my style. What I didn’t realize was my style was present all along. I only needed to gain enough skills to let it show. As I look back I know style isn’t something one strives for. Style becomes you. It defines what you love, what you want to portray and what your skills let you share. The answer is right in front of us, yet we don’t always see. Think back to all your artistic endeavors. Yes, we all do seem to have a background in more than one medium. What is the underlying theme in each one? What materials colors, and textures drew you in? What did people say about your work? What do people feel when viewing your work? What do you say looking back? This is easy for me. My earliest memory of my style goes back to coloring in kindergarden. My teacher told my parents I had trouble staying within the lines. It’s true. I like to redifine the lines and keep it flowing instead of contained. When I was making knit hats I designed the patterns along the way. My jewelry was often created as I made it. 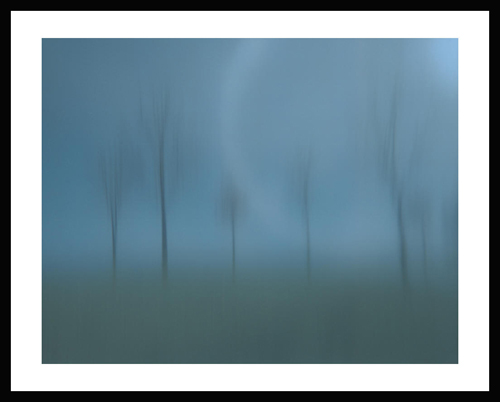 In Photography, I created scenes that were soft and dreamy, often not in sharp focus. With glass too, I like a softer look that isn’t crisp and defined. I think the reason many have a hard time defining style is the lack of skills in the given medium. Until one can create without too much concentration on getting the technique right, it is difficult for style to show. No need to work on one’s style, it will find you. You only need to let it be.